Posted 7/18/2017 12:51pm by Tim Livingstone. What's the first thing you do when you wake up? Well for me it has been to check my phone and see if the weather forecast has improved. It is only my 6th year of making hay, but out of the six, I only remember one year that was anywhere close to this difficult to find a good window of opportunity. We haven't had that much rain but it just keeps coming in small amounts. This combined with the humid weather, has made hay making a real challenge. As I said in an interview last week, growing many different crops is our security. When one crop does not do so well, others do OK so we always have something. 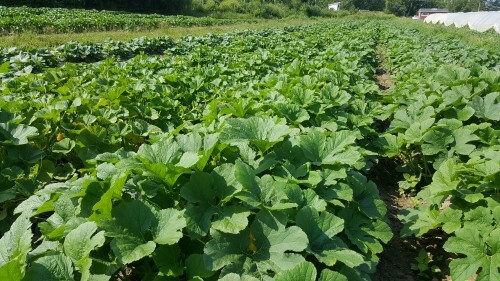 Winter squash is looking really good as are the onions, Celery, Celeriac, and much more. 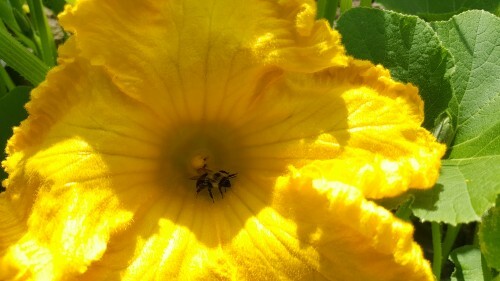 While I can manually pollinate tomatoes in the greenhouse, squash and melons are two crops that require pollination by bees. 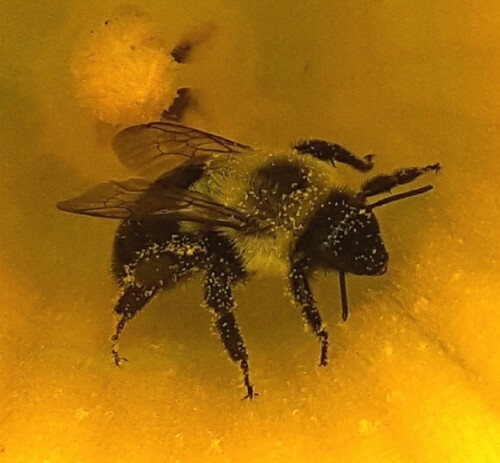 Bee populations have been down the last two years so I was some happy to find a bumble bee in a squash flower. Just a few years ago the field would have been buzzing with them everywhere. I don't know what is happening but whatever it is, it is a problem much larger than just here on our farm. We do all we can to keep them healthy and give them the resources they need so I certainly hope the populations rebound. I'm seeing more mason bees and orchard bees which live locally and can do an effective job as well.